A managed, scalable Postgres database service for Microsoft’s Azure cloud. Updates to all supported versions (9.6.3, 9.5.7, 9.4.12, 9.3.17, and 9.2.21) have been released to fix 3 vulnerabilities. Straightforward slides covering the basics on the forthcoming release’s features. 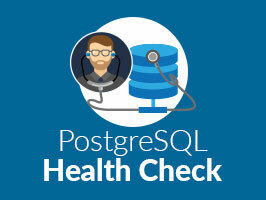 Prevention is better than a cure, and the same is true for your PostgreSQL database. Our experts can examine many aspects of your databases and determine the overall health in areas like performance, security, data loads, availability and compliance. It’s still not out but there are a small variety of incompatible changes coming to Postgres 10 to be aware of before upgrading. Amazon are only happy to help you move from Oracle to Postgres. An explanation of Postgres’ many window function facilities and how they can be used to produce useful query results. Full text search in Postgres hasn’t always been easy to leverage from within frameworks. With Django 1.10 the support is much more built-in. Boilerplate and a set of tools for building Postgres-backed APIs using PostgREST and Docker.